Dr. Harpreet Singh is a renowned Ophthalmologist in New Jawahar Nagar, Jalandhar. He has been a practicing Ophthalmologist for 23 years. He has done MS - Ophthalmology . You can visit him at Harpeet Eye & Dental Care Centre and lasik laser surgery centre in New Jawahar Nagar, Jalandhar. Save your time and book an appointment online with Dr. Harpreet Singh on Lybrate.com. Lybrate.com has a nexus of the most experienced Ophthalmologists in India. You will find Ophthalmologists with more than 30 years of experience on Lybrate.com. You can find Ophthalmologists online in Jalandhar and from across India. View the profile of medical specialists and their reviews from other patients to make an informed decision. I have red eyes from last 5 days. What should I do for it to get it back again normal? Red eyes could be because of many reasons but commonly it is due to allergy or infection. You need to visit eye specialist to differentiate between the two as the treatment is different. Also get your eyes checked for any glass power. Hello I can not see the far things properly and when I see continuously then my eyes are bored and tear eye drops. What can I do now? Hello, there is no medication or food for improving eyesight or to get rid of glasses. If not interested in glasses then you can try a. Contact lens b. Lasik laser as your age is now 19 years so your number will not increase now whether you wear glasses or not as number becomes stable at age of 18-20 yrs. Having said that I advise you to eat balanced diet including green vegetables and seasonal fruits for keeping eyes and body healthy. Lasik is a very easy and painless procedure. If you want to get rid of glasses then go for lasik. On continuous viewing, tears flows out and it is normal. You can use lubricating eye drop. I have red eyes since 1 week what should I do please tell me and I have headache also since 2 weeks cough and cold also there what should I do? Common causes of red eye conjunctivitis dry eye syndrome allergy. Contact lenses. Computer vision syndrome eye injury. Corneal ulcer ocular herpes. Glaucoma. Cold and flu. Smoking. Environment and workplace hazards. Lack of sleep. Swimming. Treatment for red eyes varies, depending on its cause. Contact your eye doctor for proper diagnosis and treatment anytime you develop red, irritated eyes. If you wear contact lenses, always remove them if you are experiencing bloodshot or irritated eyes. Remedies for red eyes range from rest, cool compresses over your eyes and over-the-counter eye drops to more aggressive treatment such as antibiotics or even surgery. 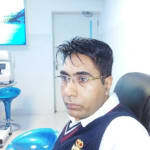 I am suffering from hairfall, and have dandruff problem, how can I check dandruff problem, and regain my hair. And what should I do to improve my eye sight. 1.Use amla (gooseberry) juice on scalp and also to drink. 2.Mix curry leaves with coconut oil and heat up and let it cool. Wheat Germ oil to massage your head at night. You can also put some fenugreek powder in the oil, heat the oil a bit and apply it on scalp for hairfall, whitening and dandruff. 3.Apply hair packs like Egg with Yogurt, Banana. 4.Have lots of green leafy vegetables and fruits rich in Vitamin C. 5.Protein is the most important element for maintaining hair health. Make sure your diet in protein rich sources like eggs, fish, chicken, soyabean, sprouts, pulses and grains 6.Zinc, iron & copper promote healthy hair. Some sources of this are – eggs, whole grains, all types of seeds like flaxseed, sesame seeds, sunflower seeds, Dry fruits and nuts etc. I sleep for 6 hours then also after I wake up my eyes are giving burning sensation, can you please help me what needs to be done? Better to wash eyes 5-6 times in a day with fresh water. N pour 2 drops of rose water in both eyes at bed time. I was playing cricket 15 days back and during game. Tennis ball hit on my right eye. After immediate swollen. With few recommended drop. My wound inside eye is going to be ok but the sharpness in view is not coming yet. How can I suppose to relieve from that problem? Homoeopathic medicine ARNICA MONTANA Q ( Dr Reckeweg) Drink 10 drops in 20 ml fresh water 3 time daily for 15 days. I have red eyes over for three days what should I do and what is the symptoms of dengue. My baby 19 months old. She god red ness around her black eye ball in right eye. What should I do? Get your child's eyes checked by a good eye specialist. Eye redness can be anything like simple conjunctivitis or there could be some foreign body in the eye or some corneal infection. So better to consult an eye specialist. I am facing a problem with vision in my left eye only. I checked with eye specialist and they have suggested me few tests like BP, sugar,lipid and cholesterol. I do not have any history of these neither in my family. I am slightly confused whether these will affect my vision? I am IT engineer and working most of the time on Laptop and in night shift. Most of software professionals don't know how to work on computer for long time without giving trouble to eyes. While working on computer number of blinking drastically goes down from around 24 per minute to around 8 per minute leading to severe dryness causing burning, eyestrain, blurring of vision & headache. One should try to have normal blinking while working on computer, should look away from screen after every 10 minute , should take rest for 10 minute after every 2 hours& should wear antiglare glass. Software professionals should use lubricating eye drops 4-5 times daily (Systane ultra)≥nteal gel once at bed time. You may wear antiglare glass while working on computer after getting refraction done by ophalmologist . I offently use computer and mobile for work. And I have a weak eye site problem. Pls. Give the solution. Prolonged working on laptop/tv/mobile can cause computer vision syndrome. Computer vision syndrome is a condition resulting from focusing the eyes on a computer or other display device for, uninterrupted periods of time. Some symptoms of cvs include a. Headaches b blurred vision c. Neck pain d redness in the eyes e. Eye strain f dry eyes these symptoms can be further aggravated by improper lighting conditions. Measures to reduce this include 1. Work under proper light. 2. Blink a lot. 3. Cold compresses 4. Use good lubricating eyedrop.